1983 - 1985. Photos. Framable Color Prints and Posters. Digital Sharp Images. Aviation Gifts. Slide Shows. 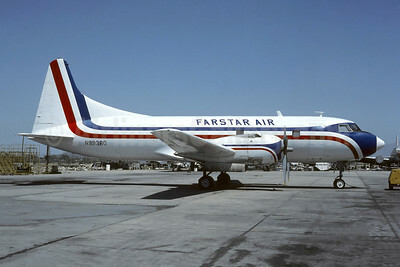 Farstar Air Convair VT-29B (240-27) N99380 (msn 249) TUS (Christian Volpati Collection). Image: 946181.